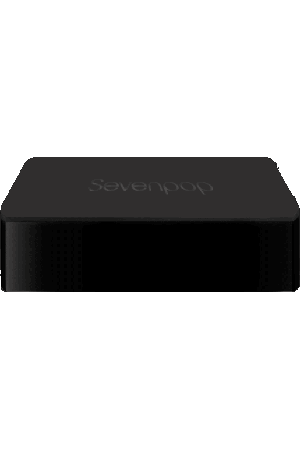 The Sevenpop BOX brings a world of music options. It plays your own music collection using external storage and offers premium online playlists. 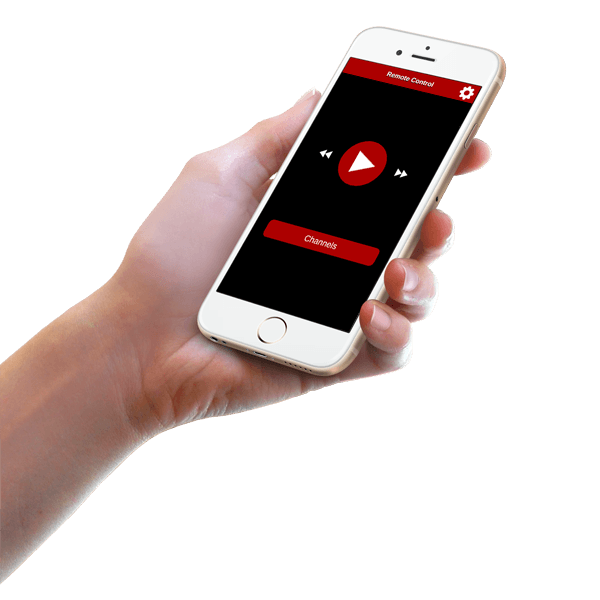 It shows your venue’s music activity on video screens and gives your customers the mobile and social interaction they want. Sevenpop BOX has two USB ports and an SD Card slot. Using an external storage you may plug in your private content. The device will automatically sort through the tracks and create channels for use. Your tracks remain safe and private and are not copied or shared. The Sevenpop online store offers hundreds of professionally curated and fully licensed tracks from our content affiliates. Choose from a rich selection of genres and themes available from popular music providers, and independent artists. Channels are constantly and seamlessly updated, so you are always up-to-date with the latest hits. 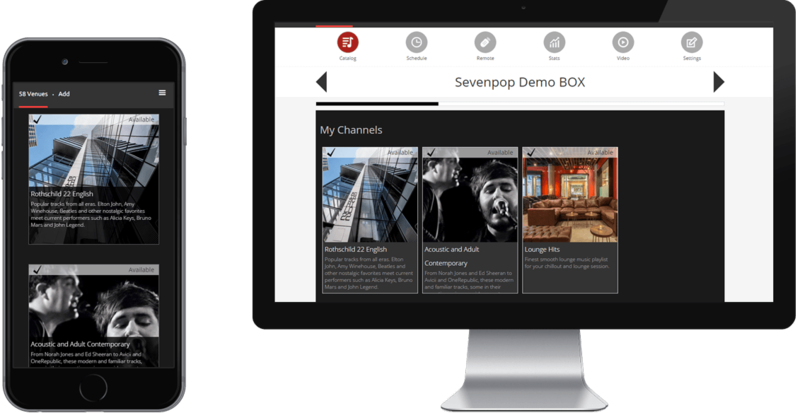 Once you got all the channels you need you can use the Sevenpop Portal to create a schedule. 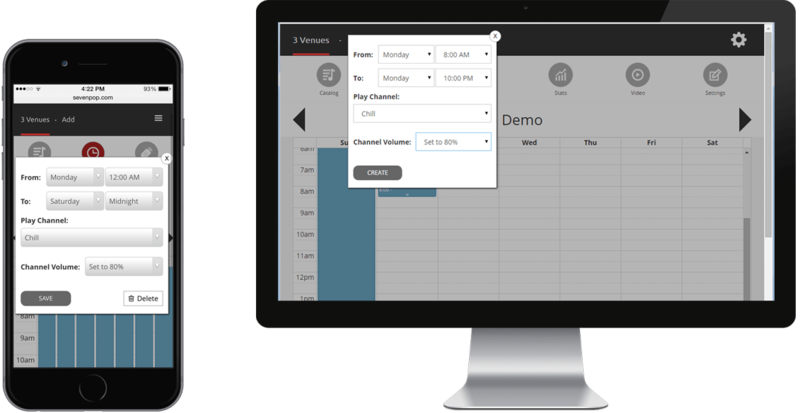 Our visual scheduling tool allows you to set the right channel at the right time. Moreover, you can always use the Sevenpop Remote Control app to change channels on the fly. The Sevenpop Control Portal lets you manage your device or devices. 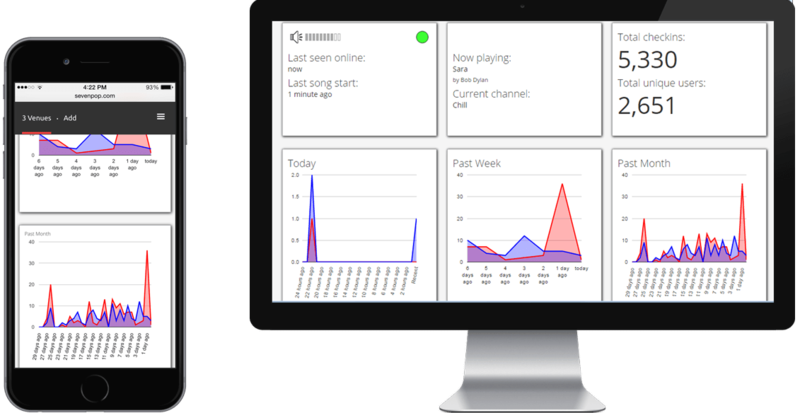 Each Sevenpop BOX device will indicate its status and activities in real time. Music playing and volume are controlled from the Sevenpop Control Portal. 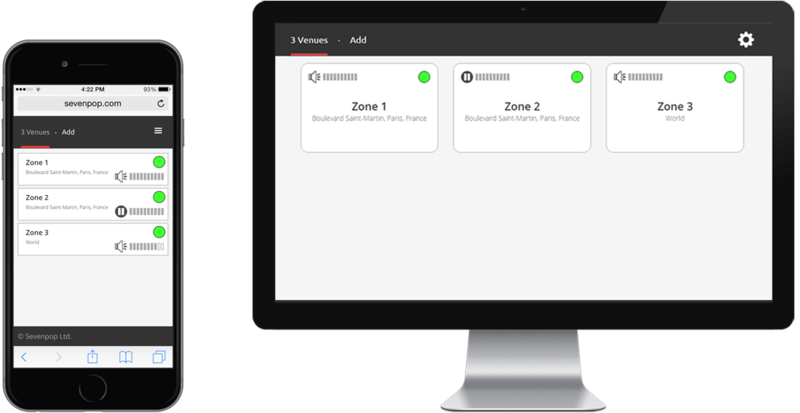 In addition, you and your staff can use a remote-control app set for any specific zone or venue. Customers can discover your business using the Sevenpop App and online exposure. 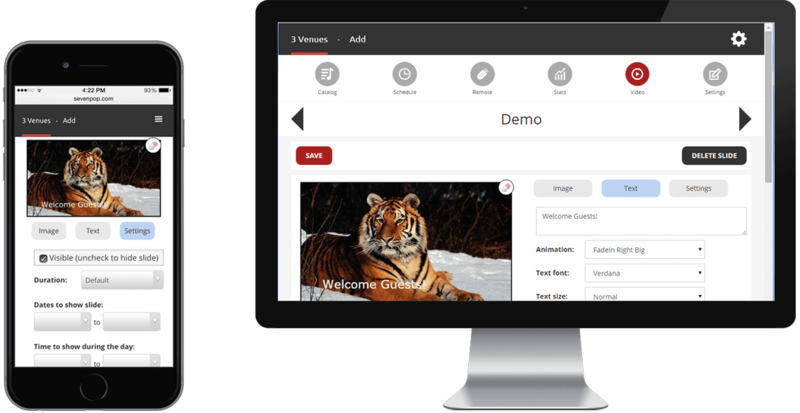 From the Sevenpop Control Portal you can shape your business online and mobile view, as well as decide whether voting is allowed. The Sevenpop App lets your customers vote up songs from your playlist. The song with the most votes plays next! MP2 / MP3 / MP4 / AAC / OGG / FLAC / Opus / WavPack / MOD / Musepack / Wave / files supported by FFmpeg.